Ever wanted a handy comparison between the various SharePoint environments? Well, it’s your lucky day! In this article, we take a look at the most important differences between SharePoint Online and SharePoint 2016 On-Premises. The aim? To help you and your business make an informed decision on which to choose. The strong young pretender versus the powerful, if a little hefty, older cousin, so to speak. Your business has specific aims, and these aims will likely drive the choice you make between an On-Premises server or a host in the Cloud. The choice, in most cases, comes down to what you need crossed with what you can afford. In the case of SharePoint On-Premises versus the Cloud, that consideration is an important one. The major difference between the two is that to run SharePoint 2016 On-Premises you'll need more room (metaphorically and literally) and an IT team to maintain the server, to add updates and patches. This means a requirement for more people and hardware. With the Cloud, your internal resources are reduced; there’s no hardware to buy, which means the IT pros you already have can continue to work at their top level of productivity. As a business, where your corporate information is stored means a lot. Some companies are unwilling or unable to store their information in the Cloud for reasons of legality or compliance – so SharePoint 2016 On-Premises is the more obvious option. SharePoint On-Premises is maintained by your IT team and is habitually kept up to date with patches and other updates, while its Online counterpart is updated automatically by Microsoft. However, the size and number of packages are reduced considerably in SharePoint 2016, and the downtime previously required when running updates has been removed. This is an indication of how Microsoft is aware of the different needs of companies and their commitment to ultimately creating a SharePoint platform that's powerful and light on its feet in any incarnation. One of the first considerations for many businesses is what it takes to set up SharePoint from a financial viewpoint. Here, we're getting into the Capex v Opex question. If you go with the On-Premises solution you're looking at the purchase and upkeep of hardware, along with the cost of licenses, etc. Conversely, SharePoint Online is part of an Office 365 plan and is billed monthly per user. Your decision will also hinge on what your company can bring to the table regarding business continuity, information security and compliance standards. The On-Premises solution is more dependent on your internal capabilities, but it gives you more direct control over your information and compliance standards, as opposed to information being held up to industry-specific security standards or being verified by third parties. In contrast, SharePoint Online automatically relies on Microsoft’s built-in redundancy for data centers. User Interface changes have been created to make the look and feel of SharePoint 2016 almost identical to Office 365 so there's parity when navigating both. This is salient when we consider the new hybrid possibilities with SharePoint 2016 and Office 365, because making SharePoint 2016 work with Office 365 is a major update. For example, with SharePoint 2016 your My Sites can be redirected to your OneDrive for Business in Office 365. That means an employee clicking on OneDrive will be redirected to the Office 365 My Site rather than the On-Premises solution. We've heard the case for migration to the Cloud again and again. It’s as inevitable as gravity: “we’re moving our enterprise to the Cloud”. But not everybody wants to (or can) allow their corporate information off of local servers, away from the office. Using SharePoint On-Premises for your business in such a setup is now a viable alternative. The benefit of SharePoint 2016 is the ability it offers to stay On-Premises while leveraging Office 365’s capabilities. As an example, for our On-Premises adherents, a new Hybrid Cloud Search experience means an Office 365 search will take the On-Premises SharePoint Search Index into account and generate results from both. Users should note that it’s a one-way system; if they try to use the search in On-Premises the results will be local only. Likewise, SharePoint 2016 promises a touch-enabled interface for mobile devices - more and more relevant for how we work today - and drives towards seamless document collaboration with Durable Links. Links that are sent between users will open, and can be worked on, even if the file name is changed or the location of the document moved. And speaking of document management, OneDrive for Business aims to give users a central, common place to allow them to work with their files no matter where they are. They'll have the ability to navigate their Sites and libraries from there. So is the future of SharePoint looking rosy? As our own Benjamin Niaulin said “SharePoint isn’t an afterthought anymore. Nor is it that thing that’s somewhere on the shelf. It’s back in the lab, getting the attention it deserves and, frankly, getting a makeover”. A SharePoint platform is an increasingly dynamic tool. It kind of has to be, to keep up with the increasing demands of enterprise. The options for businesses on how they want to configure and run SharePoint in 2016 can be divided into three separate strategies that are more defined now than ever before: the traditional On-Premises approach; a move to the Cloud via SharePoint Online and Office 365; or a third, hybrid option. Creating a customized solution is now much easier to achieve with the advent of the add-in model (previously the app model) than when it was in full trust. For SharePoint 2016, the add-in model enables customizations that are compatible with the Cloud and can be run outside of the SharePoint processes. So for On-Premises, Cloud or Hybrid SharePoint, customization is a straightforward process. Full trust farm solutions will remain fully supported in SharePoint 2016 for On-Premises, but this isn’t exactly a recommended strategy as these won't be of use on the Cloud in any future migration. The add-in model works differently from full trust and developers will need to adapt to a transition. Having done so, developers will be able to make SharePoint customizations Cloud-ready even from an On-Premises-based platform. Microsoft has made it easy to adopt SharePoint Online Apps development by building an Apps service infrastructure, enabling Azure platform as a service (PaaS) and Azure Cloud Services (ACS). It seems clear that Microsoft has a vision of Office 365 as a developer platform. They have put a lot of time and innovation into this, including making application program interfaces (APIs) available for Groups and NextGen portals. Perhaps the most exciting of these is the Microsoft Graph – formally Office 365 Unified API. IT teams to rapidly build solutions for employees. Developers to build inline social experiences. Partners to customize their Office experience and extend their apps with Office 365 data. Access to data residing in the Cloud. Access to intelligence and insights from the Cloud. These advantages alone (there are more here) may convince traditional SharePoint developers to start adapting Microsoft Graph for both SharePoint On-Premises and Online customization. MinRole is a new feature coming to SharePoint On-Premises 2016 that allows SharePoint farm administrators to define each server’s role in a farm topology. SharePoint automatically configures each server based on the role, and the farm’s performance is based on that topology. When we talk about server roles we mean front-end, application, distributed cache, search, custom, single-server farm. By deploying your farm in a MinRole topology, you don’t have to concern yourself with which services should be started on which services. Instead, focus on functionality in your farm. SharePoint services have been optimized for the MinRole based on years of analyzed performance from SharePoint at Internet scale; including CPU, memory, disk I/O, and network latency. By deploying your farm in a MinRole topology, you’ll reduce network latency and increase reliability. By deploying your farm in a MinRole topology, you’ll be able to leverage better predictable capacity-planning guidance. If you need to add servers, SharePoint automatically configures this for you. When it comes to end users and the differences of SharePoint Online versus On-Premises, keeping in mind what your organization’s goals are is a good start. You may also want to think about who's going to be in charge of administering SharePoint, and what that will look like as you move from On-Premises to a hybrid model and possibly further to the Cloud. Businesses realize that to be more successful they need to have certain capabilities; enterprise scale, collaboration, and social capabilities. With Office 365, what Microsoft has tried to do is simplify the common problems of administration and management of SharePoint. Something that needs to be considered more with SharePoint Online is monitoring data sprawl to avoid hitting capacity limits. 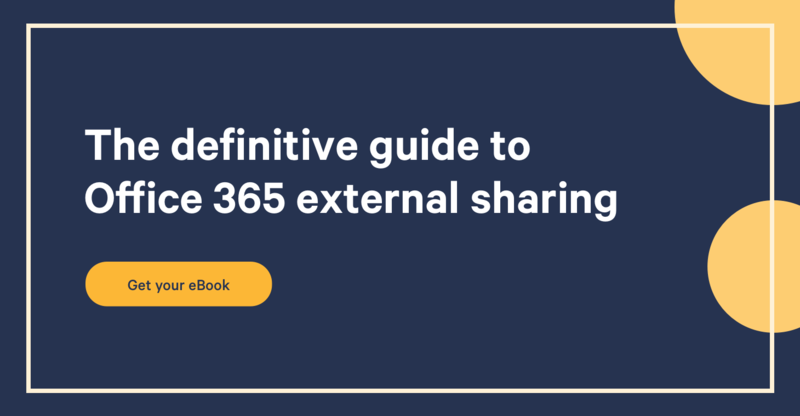 A big difference with SharePoint Online is that as an online resource and a component of Office 365, you will likely have to manage a host of different tools – such as Exchange Online and OneDrive – and performance has to be analyzed more closely. Remember that SharePoint Online is a tenant running on a multitenant server. With SharePoint On-Premises, you can concentrate on managing this alone. PowerShell control is reduced in SharePoint Online versus SharePoint On-Premises. With SharePoint Online, you don’t need to do synchronizations anymore. Users are pulled into Office 365 and are synching automatically with your Active Directory, which is a similar experience from On-Prem. 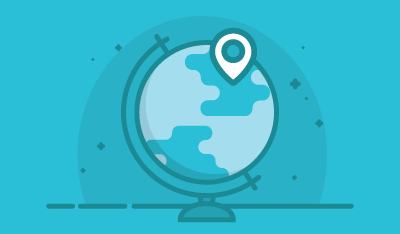 This helps you build connections with OData services to both Online and On-Premises. When comparing SharePoint On-Premises with Online, it’s important to remember roles and tools have changed. Farm-level administration is gone, and the User interface has been streamlined for common tasks. Some of the things you may be used to seeing in the admin console inside On-Premises have changed. What we can say is that SharePoint in the Cloud has taken over as Microsoft’s face for the company’s transition to a cloud-first, mobile-first enterprise and, as such, SharePoint On-Premises, while still relevant, is increasingly part of the old world. Time to focus on some of the options and decisions you'll potentially face when deciding which solution is right for you. There's a lot to think about with regards to the infrastructure for SharePoint 2016 On-Premises, as you might expect. As has been a theme throughout this post, SharePoint Server 2016 requires an On-Premises server and an IT team to maintain it with regular updates and patches. But perhaps it’s worth getting a little more technical and seeing what this infrastructure requirement means in real terms. In theory, the Cloud deployment of SharePoint has zero infrastructure requirements – that has been one of the advantages of this particular solution. However, in practice, you'll still need to perform the task of migrating to the Cloud. It also means at a business level you need to think about how your IT department will change or restructure how it's run. Will there be layoffs as a move to the Cloud means a reduction in required IT resources? Or perhaps you'll keep your IT staff but be required to find new remits for these individuals? While ‘zero infrastructure requirements’ sounds like a breeze, it misinterprets the reality. As the name suggests, Hybrid requires a mix of both On-Premises and Online infrastructure. You'll still need your On-Premise server, IT to maintain it (though not as heavily), and you'll need capable Internet connectivity to benefit from leveraging the collaborative power of Office 365; as well as needing to construct a new ‘hybrid’ way of monitoring how your data is stored, accessed, and kept secure. Taking into account the infrastructure differences and requirements needed for each SharePoint solution, the main feature differences, as well as the differences for the main stakeholders (your company’s developers, IT pros, and your power users) there are some bottom-line considerations to take into account. Which SharePoint deployment model to use is, as we have discovered over this blog, not a simple decision for a lot of companies. However, keeping in mind the objectives of your business, the choice of which SharePoint solution will be a lot clearer. A consideration to be mindful of is Microsoft’s intention and direction with SharePoint; clearly they are focused on delivering the ideal experience of the platform via the Cloud. However, the majority of businesses still deploy SharePoint On-Premises, which means there are whole infrastructures and IT ‘ecosystems’ built around On-Premises administration that will be both wanting and not wanting to change. The ability to choose when to upgrade or patch the latest SharePoint update gives the administrator full control over their company’s system. With a move to SharePoint Online in the Cloud, Microsoft decides what stays and what goes and when, so it’s understandable that your admins might resist the move. Another consideration to be made is the total reliance on Internet availability if moving fully to the Cloud. Without Internet availability, the possibility of not being able to access your data becomes a concern. Also, you'll want to make sure the way in which you have previously stored your files is supported by SharePoint Online, because if not, you may struggle to access that data. Speaking of files in the Cloud; data security is something that needs to be considered in a different way than it was when storage was fully On-Premises. Again, this is a matter of control being relinquished and how comfortable you are with that. It’s not as if your data becomes easy to access for whoever wants it, rather your security requirements need to be given more thought than how they have perhaps been managed in the past. Hybrid – the Best of Both Worlds? The availability of staying On-Premises with SharePoint 2016 while leveraging the online power of Office 365, may, for many, be the perfect middle-ground solution. The question is whether it can work as a wonderful compromise, or takes the potential negatives of On-Premises and Online and doubles them? In the end, the choice will depend entirely on your business needs, direction, and strategy. By taking these different factors into account, you should be able to make a decision which reflects current reality and fits around your requirements. Regardless of your final decision, if you choose Sharegate to help you make the move to SharePoint Online or remain on-premises, we support both versions, and will be here to guide you along the way. Good luck!